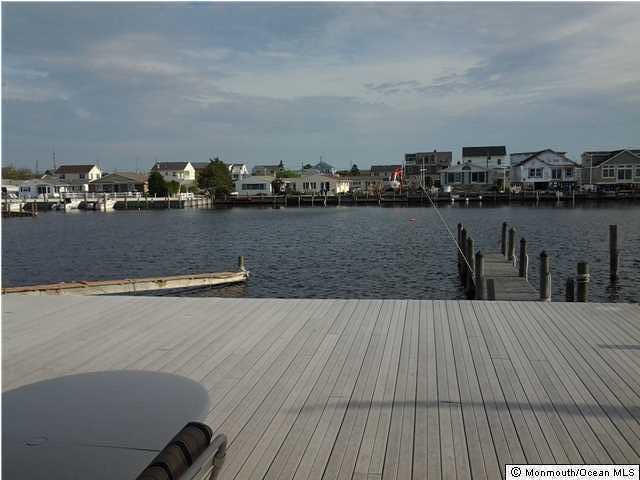 Looking For a Great Waterfront Property ? Wide open cove, Riparian rights, Large dock, Expanded deck that is partially covered, beautiful, private Southern exposure to back of home, short walk or bike to beach. Located in one of NJ's top oceanfront communities, Monterey Beach. Four BR's, 31/2 baths, first floor den w/full bath, oversized driveway, Sold Furnished. Recent renovations include new granite counters in kitchen, Laminate Flooring, moulding, NEW washer, dryer, H/W heater, recent painting. This home is BFE compliant, above new BFE for flood zone. New engineered Smart Vents have been installed, Flood Insurance in place and transferable. Ready to Go for the Summer of 2015, just bring you bags. There are very few locations like this on the entire Barrier Island. Make It Yours !